Talking about Thai food, I'm sure some certain types of food would pop up in your head if you've ever had some before. Something like, Padthai, Papaya salad, Tom yum, Green curry, etc. Curry is for sure one of many we're famous for. We got so many kinds as well. Green curry, yellow curry, red curry and many many more. Some Types of curries, even I myself have never had. Yes, it's that many and some are so random! When we're down south here in Thailand travelling through the province called Chumphon and stayed in Chumphon city for quite some time. I gotta say, I fell in love with the province for the fact that it's not that touristy compared to other southern Thai provinces around it. There's that great local vibes to it. A street where we walked past almost every evening when we're there called 'Krumluang Chumphon'. They got the delicious and good looking Thai street food all on this one strip starting from 4pm-ish. We ended up dining there 2 times in a day ! 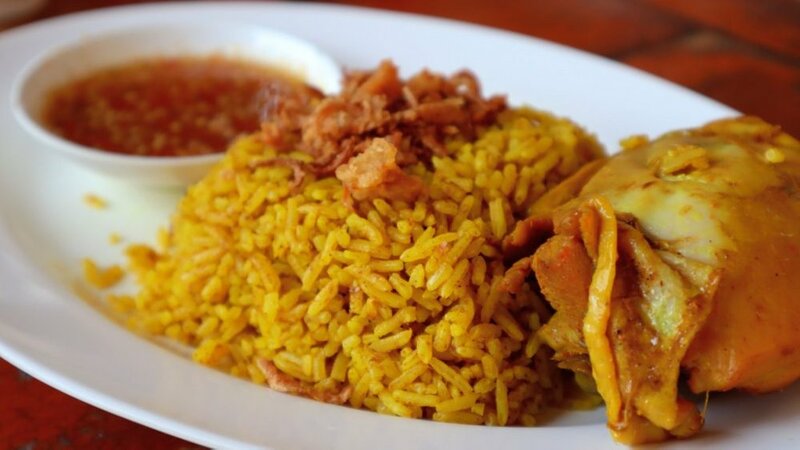 First thing first, no one could resist this intense yellow rice and a big piece of chicken. Also, when you're downsouth, it's somehow something you must eat! The yellow colour you see is natural colour from cumin and other types of herbs. It gives such a great smell and unique flavour. Here at Farida, one of the famous local spots around, they sure didn't let us down. I loved the dish here! Oh my!! We went back there again in the same day for this exact dish!! Close to a big pot of Chicken Briyani, there's a pot of this thick curry with beef served either with regular rice or coconut rice. I love beef and I love coconut, guess what I went for! 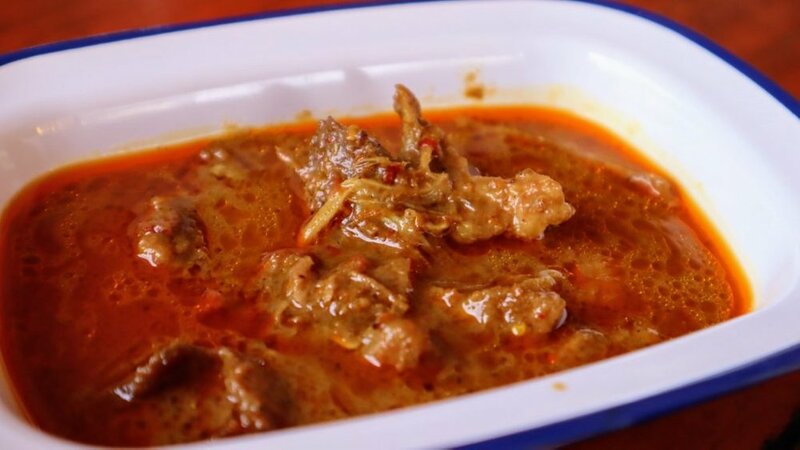 The beef curry taste almost like 'Panang Curry' but without lime leaf. It's red curry and a bit sweet. Served with such a great texture of rice with that coconut aroma. Instead of using just water, they put some coconut milk when cook the rice. 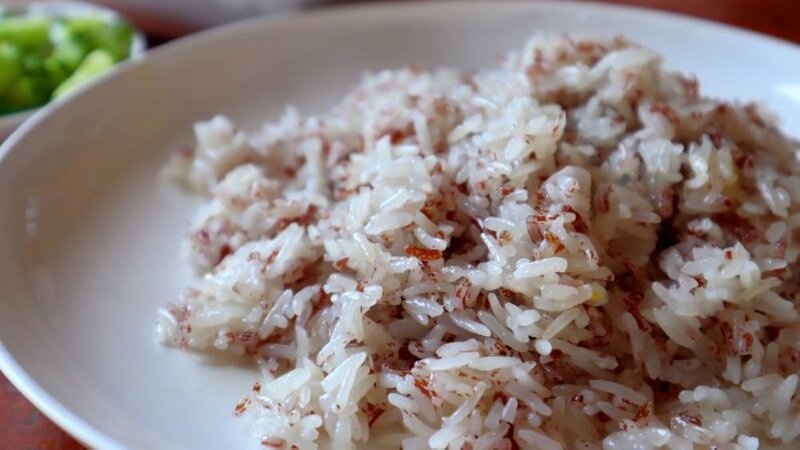 I have never eated such a perfect coconut rice like this one! 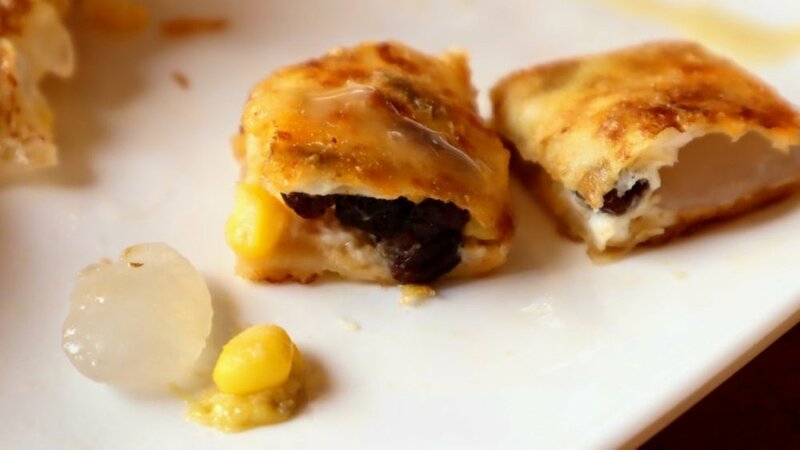 Since the place called 'Roti Farida', you know it featured 'Roti', an Indian influenced deep fried dough. Though we chose to have 'Roti Mataba' The same type of dough but wrap around some stuffs, deep fried then cut in pieces before serving. To be exact, we went for 'Mixed Fruit Roti Mataba', as it's Farida's special and also, I have never heard or had this type of Roti Mataba elsewhere. Most of the time it would be something like, banana chocolate, banana + egg + condense milk and all those. This one got such surprising fruits.. I thought it would be like, strawberry, kiwi, mango and all the fancy stuffs lol Well, it came with all this types of fruits : sweeten palm fruit, raisins, corns, banana and condense milk. Don't get me wrong! It's not what I expected but It's good still! No, this one is not really a street food but sure delicious and affordable. 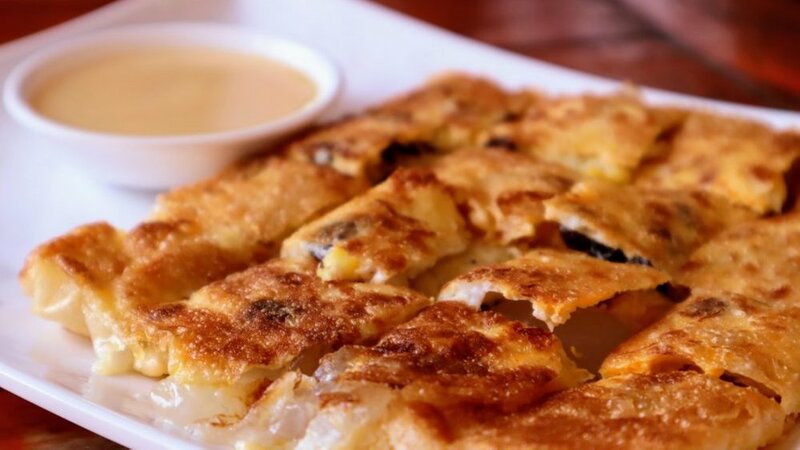 Unlike other places on the strip, Roti Farida's not really a street food. Though, it's affordable just like many other Thai food in the country and hey, with all these food for 2 people. 160THB paid ($5.15) and we're packed! 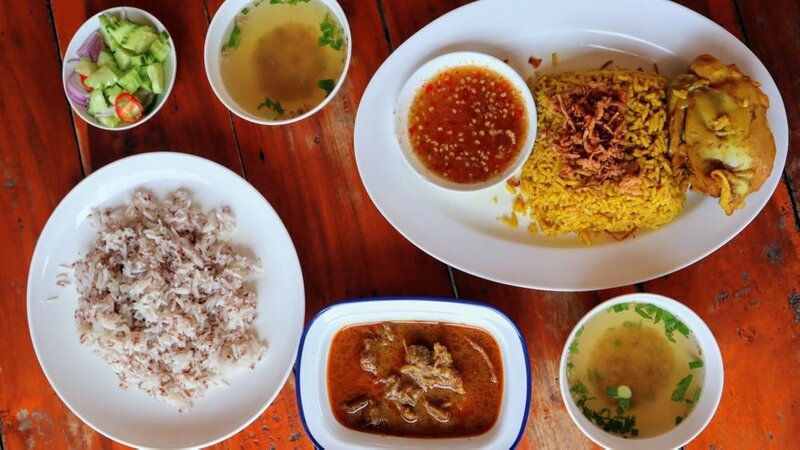 Last word to you all, you can't miss Roti Farida when you're in Chumphon city! Some other things you could find elsewhere but that beef curry and coconut rice, I'm begging you to try!!! !